Frankly speaking, I’ve always been skeptical of this player whose talent can’t be denied, of course. But we try to be objective so we won’t neglect significant progress he is showing these days. His physical abilities, well-staged aggressive play and powerful serve make him one of the most gifted young tennis players. What I remain skeptical about is Thiem techniques and tactics. In my opinion, they do not correspond to the world’s tennis trends. He is too aggressive on court which contributes to the large number of unforced errors. The level of aggression on court shall be put under control; otherwise such a carefree style will one day be the reason of a frustrated defeat. And future belongs to the players with a high topspin technique: Djokovic, Dimitrov, Wawrinka. These guys can produce hot shots making the ball rotate too fast. It definitely increases the player’s consistency. Time of flat shots is gone and it’s hardly possible to reach the elite of tennis with this old-fashioned manner. Finally, I dislike Thiem’s backhand. It can be suitable for clay but on fast hard, the surface of the most majors, he swings the racket too slow. Maybe it allows to add more power to the shot, but on fast courts he would hardly manage to approach the ball on a decent level. In Rotterdam the hard was rather slow, so this gap wasn’t that visible, but on fast courts it would be more revealing. But despite all this, Thiem and his latest progress deserves our respect. I hope I’m mistaken and we would soon enjoy the game of one more high-level player in men’s tour. This guy has realty astonished me. I would never believe that one day I’ll praise him. But the tennis the Spaniard displayed on the Australian Open and preparatory tournaments worth respect and particular attention. He has improved the return and the service game. The latter, by the way, is the only one that needs perfection. His strokes gained force and consistency. 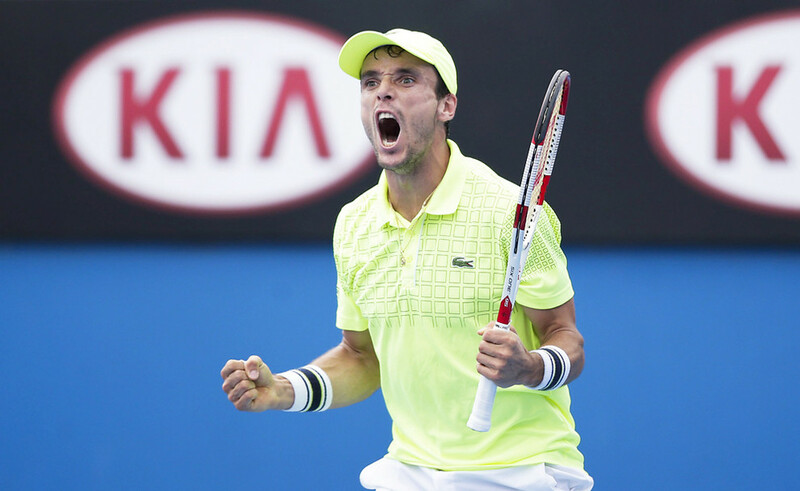 There is something about Ferrer in him, but with more potential. I hope that the Spanish would save his form and come in full force in tour. Making much ado, of course. Mark my words: Batista is a player with no weak sides, capable of showing great results on all types of courts, even on the grass what he proved last season. The both are equally gifted guys with the common problems following them during the whole career term – awful physical condition and zero stamina. Gregor has gained more endurance this season, but still it’s not enough. He has always showed good tennis but due to the poor form couldn’t progress to the final rounds of Grand Slam events. The match against Nadal on the Australian Open showed that the Bulgarian has to work on the physical form: after the second set Dimitrov slowed down and when it came to the fourth one he hardly moved around. But nevertheless, be it a year ago we wouldn’t have seen Dimitrov in the quarter-final of the Australian tournament. Now there is every indication of his progress. Haase proved himself even better. The injury he got this week in Argentina disappointed him. After that Robin buffed up, build muscles and gained weight which was really necessary as he looked skinny. Now he has a well-balanced constitution which contributes to more powerful strokes and more endurance he lacked before. I wish him sooner recovery. And we believe that the healthy Dutch is able to make a breakthrough in rankings and achieve excellent results. Wow, never expected to see Aaron hiselmf writing about the Namibian project :)Just in case anybody is wondering, the specific KDE system in use is . I am not going to say much more about it here (that would be spamming) - but it does give anybody who was intrigued the chance to try it out for themselves.